“Free radicals are atoms or ions that are missing at least one electron from their outer shell,” Dr. Franklin St. John explains in Natural Awakenings. “When they enter your body, they steal electrons from your healthy cells and turn them into free radicals too. That process continues until the damage is so severe that health issues occur. Read the whole article here. 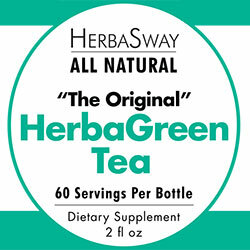 And get yourself a supply of HerbaSway Blueberry, to take advantage of these amazing health benefits for yourself! 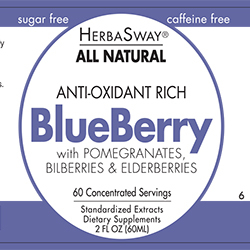 This entry was posted in General and tagged blueberries, blueberry, blueberry concentrate, free radicals, health on February 1, 2016 by herbasway. 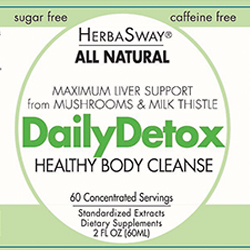 Almost any activity that you perform results in free radical formation. 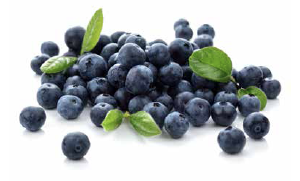 There are many external agents that can cause free radicals to form in our bodies. Let’s start out by defining what a free radical is. If you have taken a chemistry class, you may already understand this. A free radical is an atom or compound that is missing an electron in its outer shell that is normally there. There are normal ways that an atom can fulfill its need to complete its outer shell. For instance, Sodium (Na) has one electron in its outer shell, but it wants two. Chlorine (Cl) has seven electrons in its outer shell, but it wants eight. So, when Cl comes in contact with Na, they sort of mate to form NaCl, which is ordinary table salt. This entry was posted in General and tagged free radicals, green tea, health benefits of green tea, how polyphenols fight free radicals, polyphenols on October 22, 2015 by Dr. Franklin St. John.